I'm a fan of variants. I'm also a big fan of unmasked head sculpts, showing the character's secret (or not so secret) identity. So picking up this variant of Rocket Grenade Captain America was a no-brainer. The only problem, and the one thing I'm not such a big fan of when it comes to Hasbro's variants: distribution. I've seen nothing but the masked version throughout my area. Thanks to my buddy Solidwii from the forums for hooking me up with this guy. Take a closer look after the jump. 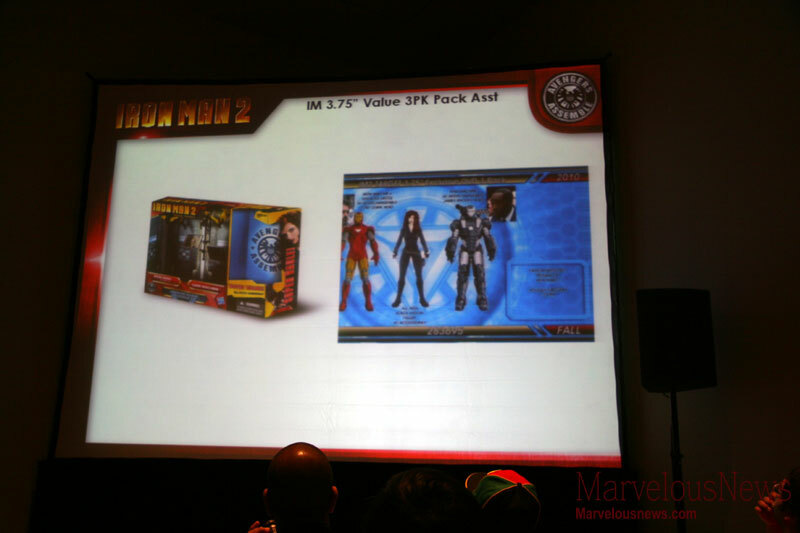 When Hasbro revealed figures with head sculpts based on Robert Downey, Jr. and Don Cheadle (not to mention Black Widow) for the Iron Man 2 line, I was stoked. I was going to buy so many of that RDJ figure that I'd go broke. I'd have one for my office at work, one for home, five more to steal the heads off of and put on the other movie armors, another to put on a suited body, and maybe one just to carry around in my pocket. But then Hasbro did what Hasbro does best, they stuck those three figures into a 3-pack, announced it as a store exclusive at the tail end of the line, and then canceled it, leaving the line feeling horribly incomplete. So I'm glad to see this unmasked Steve Rogers get out there in the first wave of The Avengers line, and I'm hopeful (just slightly) that this means we might just see the RDJ head released yet in this line. But back to Cap. This variant was never actually announced (what, tell your customers about what products you're releasing? Why would Hasbro want to do that? ), but it was revealed back in late January when Toys R Us' Canadian website put the figures up for pre-order, and used a press photo of the unmasked figure. Then at Toy Fair in NY, the masked version was shown. It is a little loose on the Super Combat Cap, though. "Dude, where'd your neck go?" Are these still showing up at retail? If so where? I'm still trying to find at least one. I haven't seen this variant at retail in a couple months, just the normal masked version. I believe the unmasked one only ever showed up at Walmart. They seemed to have bought all of the Wave 1 cases from Hasbro. Target and TRU got revision cases that only had the masked ones. Thanks Zak. There's a Toy show in my area next month. I'm sure I can find one there. I hate Walmart exclusives! !